I'm having a hard day in the office. The damn air conditioning is being regulated here and they feel cold while I'm perspiring in my side of the wall. I already got my nose bleed twice before asking them to turn it up a notch. In my dictionary it looks like the place is already not really meant for work. I hate it. These are the things I have to live with I guess. With that out in the open, I'm okay now. I got tissue for my nose... and an electric fan for the air conditioning here. Some of these people don't probably have air con rooms at their homes hence the inability to understand why people like me need it most of the time. To soothe my mind let me just reminisce a bit... I want music from the 90's! I was always going to the office using the van but for obvious reasons it is showing signs of aging. Since it has been manufactured in the 90's the van is always stopping whenever it wants and air conditioning just breaks down in the mid afternoon heat. I almost passed out the other day because of the heat and I don't want to simulate an oven come next week. Rain hasn't been that usual this month and they said it will be delayed again. I probably should find a new car or van so I could at least make the best out of my trips in the metro or outside the country. I am thinking of getting the Ford Mondeo. With its spacious legroom and thrifty gas mileage it will be the best substitute for the van. I wouldn't want to think of anything else now but get a Ford Mondeo as soon as possible so I could sit back comfortably and get to where I want to without thinking of bogging down or getting the air conditioning broken again. I love what I see in the car so far but if there would be something else that I would get I'll probably get it on line since some of them are way cheaper than those in car shops we locally see. I want to get a van but with the economic crisis still looming in the background that may not be the better option without getting the best deal. I can get this on line and I know who to look for when my brother gets them also in the UK. Everything will be better and I know this is the right thing to do. Should you thing otherwise it'll be disastrous to not spend wisely in this day and age. Be smart! It was raining yesterday but I wasn't stopping anytime soon getting drunk because it was the birthday of a good friend Shy. Shy is not shy at all, actually she is the most violent person I have ever seen. We had a very great time at their house (which I refuse to mention for social discrimination LOL) and had a few rounds of beer to start it off. I didn't drink that much because I had to go home and prepare for something else tomorrow. I guess it was a riot. Jophen (big girl in white at the back) as you can see is already drunk since she was drinking since the afternoon. She was laughing profusely at anything even the ice that she wanted to scrub on Edu's back (black guy on black shirt on Shy's lap). Ruby (the corpse in white) was trying to sing her favorite songs but I wouldn't wanna do that when I've got the microphone. Shy (the one in pink) had a very happy birthday celebration all in all and I had a great time and I probably would be back for more meatballs, chicken and spaghetti... plus a lot of booze the next time I go back to that far flung area. Then again Happy Happy Birthday Shy! You are so OLD! You look old too! =P Hail the Meangirls! I know we all strive to look good and I haven't seen any of my friends throwing in the towel to severe ugliness or staying plain Jane. 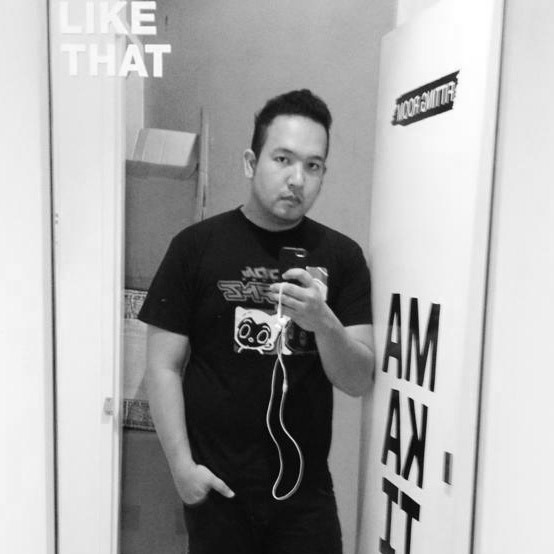 I get to see everyone make an effort each day to look the absolute perfect just to say I'm better than other people. It is something innate that make this phenomenon work. We also never get tired of it and to tell you the truth; I'm not surprised! I think it is man's urge for self improvement and the way we do it externally tells how we are with other people. I often purchase signature clothes, shoes and accessories but these days it is pretty hard on the budget. I know how hard it is to keep thrifty if you want quality and a polished look at the same time. The world market says so and it looks the same on any part of it too. 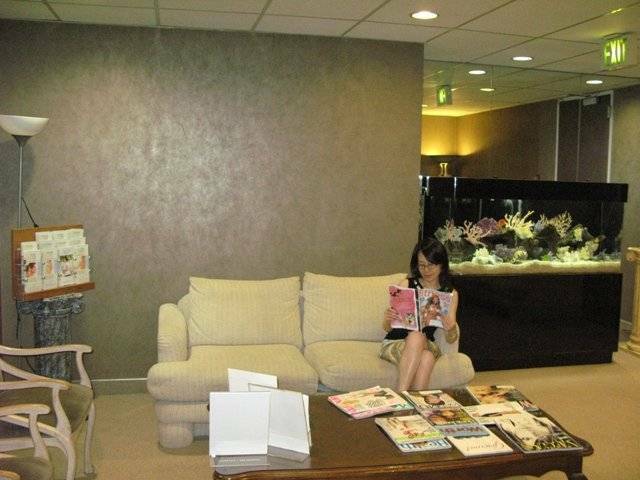 Mom and I dropped by the local optometrist a few days ago to get some eyeglasses. Mom needed a new pair so badly because her old one fell off when she tripped in the church sidewalk that weekend. Upon getting checked, she needed different grades for each eye. The optometrist/ophthalmologist suggested bifocals for her. She got up and searched the store; we found this red frame perfect for her however it was going to cost her 5,000 pesos. Its way off my expected price but she needed one badly. There are on line stores selling these for 8 dollars and they were selling it for way more than that. I could have waited a few days for the eyeglasses and saved a lot in the process. Locals don't know it but we who frequently get on line do! I'm sure if they read the great words a guy said here for the eyeglasses they would change their mind and probably get their supplies there too. Imagine I can get the same quality for a tenth of the price. This is just amazing ZENNI! Sometimes there are some people who give you hell even if you don't do anything to their lives. How I wish I could do the same evil deeds to them. How rude. If only I can call them names on this site. Ahhh I'm sure someday someone will put them into their own places and have a little bit of sense when it comes to working with other people. I wish there was something like an unspoken manner of doing work related stuff in the office. Something to respect other people from other departments. Haaaa sometimes you just come to a point where you want to punch them in the face. Good thing I got to anger management movies before this came along LOL. Oh here I am checking out some other bloggers site. Reading their work is like therapy. I wish I could write like them soon LOL. Not to put my self down I think I write pretty decent since it has already been years since I started all this s***. Hahaha! Now I am calm and collected so here I go and call that other department to have them fix whatever issues they have on my people. I hate them but we need to live a civil life! I am a self confessed bookworm and I have been reading since I was 3 or 4. I was into heavy literary work when I was a kid and I must say it had something to do with my interest of going out; and I couldn't do that because my Mom used to tie me to a tree back then LOL. My penmanship also suffered because I must say I felt everything was forced to me rather than being enjoyed just like reading. Thank the heavens for great EBOOKS that I always read every chance that I have free time. It's great for my KINDLE and that IPAD that I plan to buy soon. There are also wonderful pdf search engine sites you can go to and view the latest titles you can download for free (if available). I love how technology had made everything easy. I am free and I feel so liberated every instance I finish reading a novel. I must say it has given me more than just simple pieces to read; it has given me the benefits of expanding my territory virtually. It made me more of a wide reader than I was back in the 80's. I have used the PDF file format for my documents too so people from different parts of the globe can read the manuals and forms I make so transactions from the corporation I work for and other multinational companies easily transact business. I love how easy it would be to find them now on the Internet since there are specialized search engines for this file format. It would save me a lot of time and money and in times like these; a dollar worth of savings is monumental. I like it! Sometimes as I sit by myself and contemplate on things, I try and listen to songs that can soothe my mind and set a mood. I heard this over the radio and never got its title and while browsing Youtube I suddenly heard this familiar song again. It was another OMG moment. Okay guys, here's the news... I think I'm falling in love again. Nyahahahah! I know... how many times do we have to get hurt... how many times do we need to be broken... and here I go again. Well I can't really do anything about it... I'm liking someone just by mere talking to her... how she listens to me crack jokes here and there... ahhh I never learn huh?! Anyway, if I ever fall off a cliff again I know my friends will be there. To share may agony hahaha! Okay just for fun I'll add this one too! I'm getting a little mushy but please let me have fun with this one okay?! I'll tell you about it soon. I have been looking for ways to stop time. I don't want to age like most of you guys and I have considered taking major surgery in the future. I want that or maybe get a different treatment that would not be invasive. I hate seeing knives. I hate seeing syringes and that event where it spurts liquid in the air before they stick it to you. Oh my... just typing that in made me feel some goose bumps. When I decide in the future to have something done I will get Studio City Plastic Surgery. I would go and get myself made up by their doctors who finished in the most reputable (some of them Ivy League) schools. I specifically like Dr. Brian Kinney to do the procedure. I've read the nicest things about his past patients and I'm sure to give it a try once I get my funds. I realize I have a lot to thank for though. I have good genes and don't look my age so far. If I need to talk about it I'm sure that I can count on Dr. Brian Kinney MD to give me advice. I bet he's not going to be harsh and he can suggest things that can be done with minimal invasive surgery if I need one. Liposuction would never be too far away. Everyone has done it anyway so why shouldn't I take care of myself! After a long hiatus of not doing food reviews I guess it was high time I do one back to back with my Johnny Rockets article a couple of posts back. 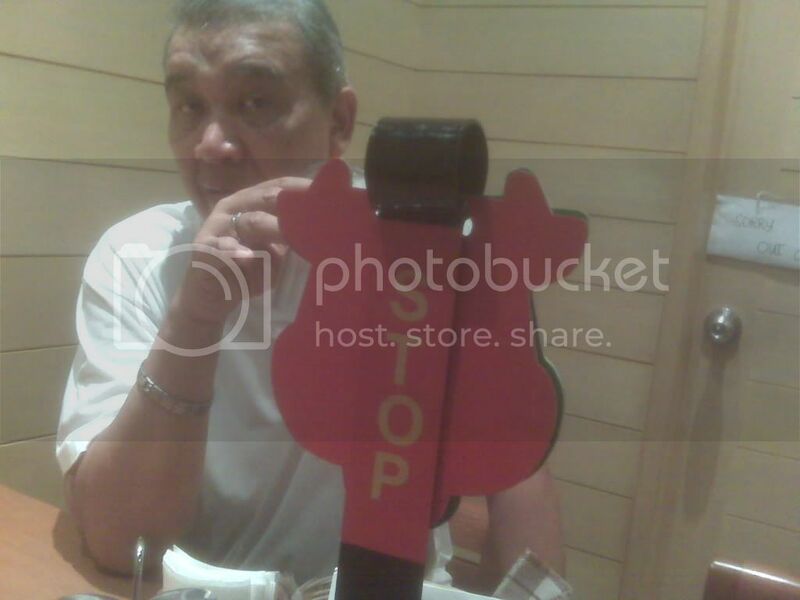 This time we will be doing Sizzlin Pepper Steak in Eastwood City. I was dead hungry when this happened and I dragged along Dad since he was always game for eating anything. Not that I'm pushing for something bad for his diet but it's in these places where he finds happiness in eating. I immediately asked the server about their best seller and he answered quite canny. Of course it was the Beef Pepper Steak and I got to order that and the one with curry. The one with curry was a little more expensive, about 30-50+ bucks I think. Their menu had a lot of offerings. I was not much of a rice eater (yeah I know why in the hell did I get this big) so I initially wanted a burger since those were the only ones I can eat (I have hellish allergy from seafood) but I wanted to quit my diet for a day so I went and ordered their Beef Pepper Steak for whatever it is. The thing comes with these special sauces. They do give you these sauces for free so go ahead and order some more. The diablo was quite good and if you had nothing to do order that instead. 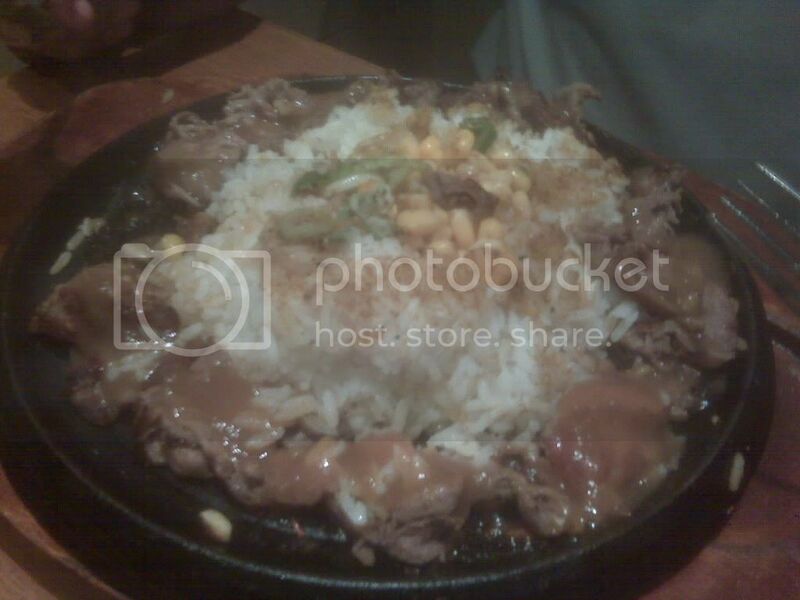 You might need to order extra servings of it because the sizzling pepper steak needs something to ward off that dryness. It became very good after that second wallop of sauce. I also needed to feel the pepperness of it all if that is the word for it. 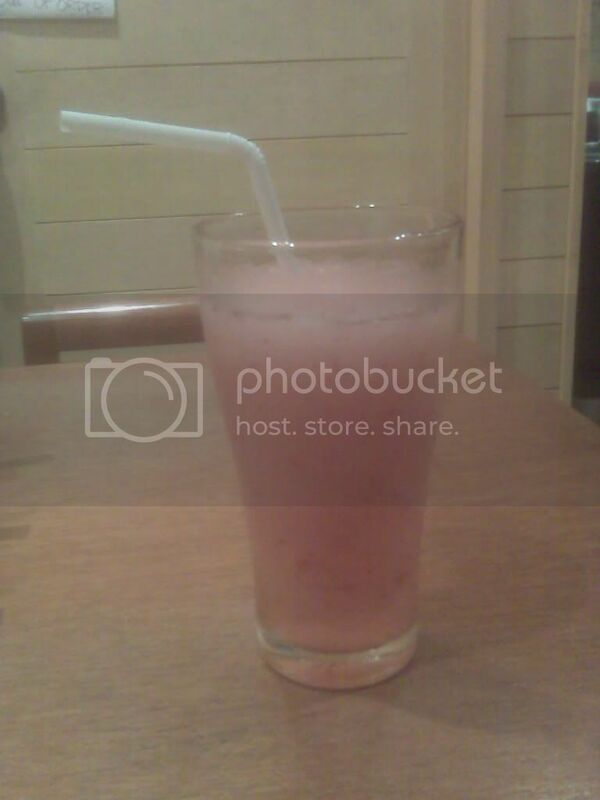 I asked for the drinks to be served first and got this strawberry shake. It ain't for my Dad because it is too sweet but since he ordered one I had to drink 2 glasses full of it. It was like drinking cotton candy. Too much sugar for one sitting. 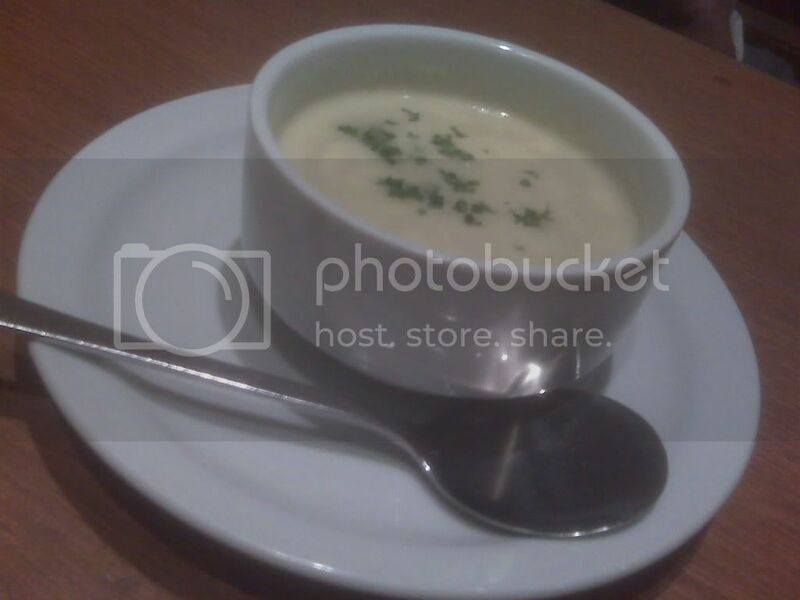 The creamy mushroom and corn soup was actually served cold. My Dad complained before they got it back and reheated it. That part was extremely disappointing because I wouldn't want people to think soups are supposed to be served room temperature. Someone must have forgotten to use the microwave oven. Although what I find funny is that my Mom and Dad became instant food critics when I got into doing food reviews. They are more vocal and complain a lot when we are eating. This was actually one of those days haha! Now it's time for the fiesta de resistance and signature dish SIZZLIN PEPPER STEAK! The strips of beef was nice. Not that soft as I expected. It was chewy and you can still cut it with your teeth. Some pink on the meat would really spell blood but it was really good. I was looking for the peppery taste but I didn't find that. The hotness depended on the hot plate and I suggest you try to eat the thing while its hot otherwise the pepper you are looking for isn't that peppery at all. It was just there with the rest of the ingredients. The main difference of that and this one below with the curry is just the curry they put on the rice. I must admit I liked the one with curry on it rather than the original one. 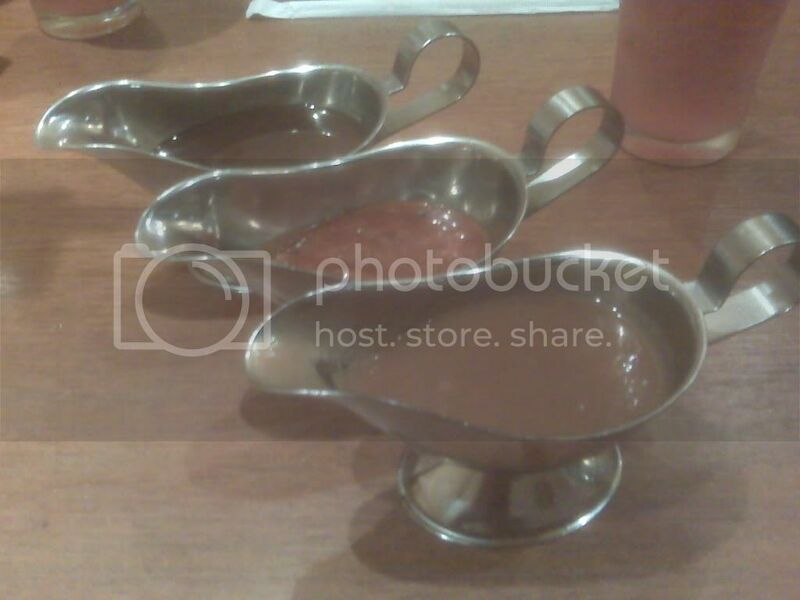 They serve this with paper covers so it wouldn't splatter all over you while its sizzling. 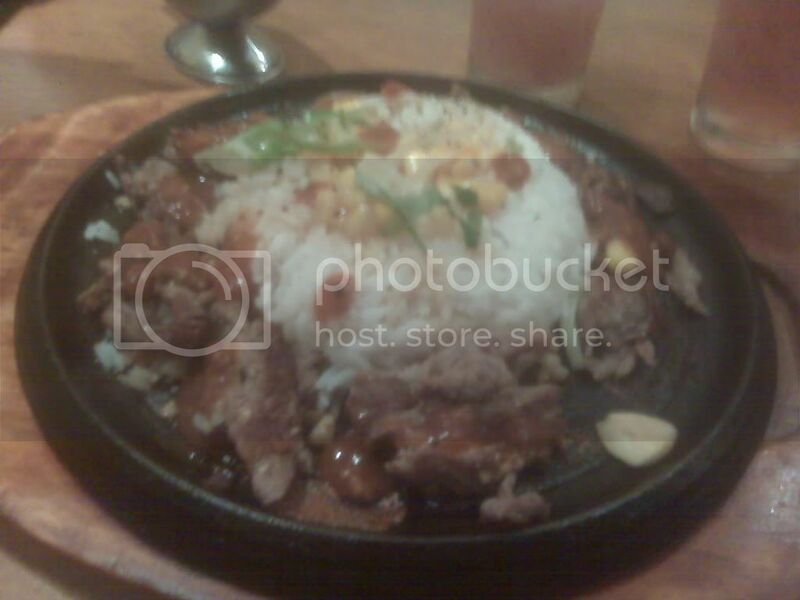 Overall I like the experience in Sizzling Pepper Steak. It's for a man's appetite and make sure you eat something first before going here, it kinda had a long wait time for one measly plate of beef strips and rice.3 out of 5 KUMAGS! It was a warm Saturday afternoon when I went to the mall with my Mom and Dad. I do food reviews for some of the best restaurants in the country and I must say I get a lot of my friends to see them. I recommend the good ones and ask to try the not so bad ones. I have more readers in Manila than outside the country and I get some surprises every now and then. 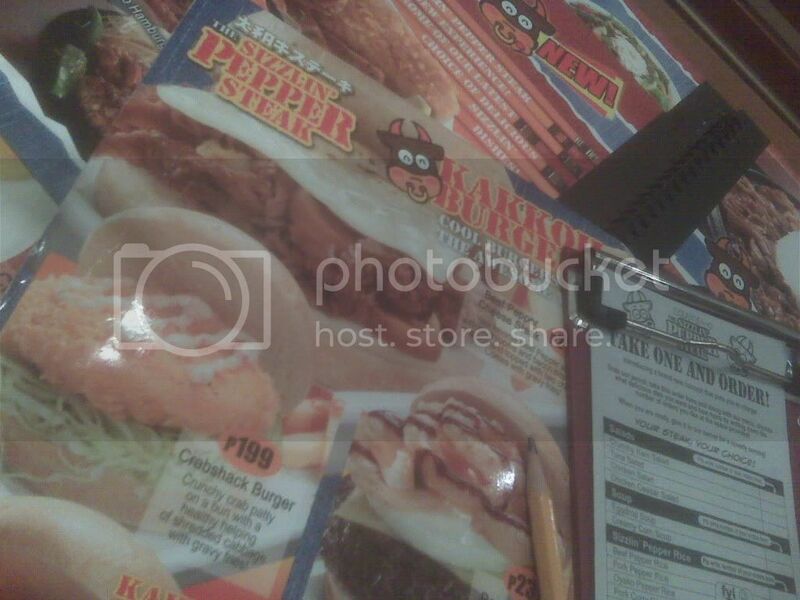 I went to one restaurant on the top floor of EASTWOOD MALL. These posh establishments are what mostly get rave reviews on my site and I was surprised when we sat in the Manager literally knew me. I haven't met him nor have I ever stepped into the restaurant before so I was really surprised. I think he got to see my photos in the site but that and the DSLR camera probably was a giveaway that I review restaurants. I tried to keep a low profile but on some instances they kind of talk to you even if you don't want to. He asked for my business card but I didn't have one that time. I only have one for work but not for my site. I know I need to get custom business cards so I would be able to identify my self every time I get to review institutions like that. They had a cooking school together with the restaurant and I am impressed about how it looked like. Though the next time I get there, I know I have to identify my self after wards. It was kind of awkward I did not have any cards with me that time. I looked very unprofessional. I want to go back there one day and present my self differently I guess. It's a hard day but I think I'll try and solve it one at a time. The card would have solved it all. This is a kid carried around by his mother near the church. I saw him peeking a bit when we passed by so I took a shot. I feel innocence with him. Even if he was dirty he was still happy being carried by his Mom. I think I went through this phase sometime in the past LOL... no seriously I was really drawn on his innocent look while I took this photo. This was a dirty kid carried around by his mom inside the church grounds. I think they were begging or sumthing. I don't know why but I think this was the only time of the year there were lots of people in the town and they took the liberty to beg so I don't give that much thought on this one. I just pity the child had to be used so they would look KAWAWA. This was not a sad story. This was a kid who stood by the pond outside the church. You see, they have this pond that had lots of tubes in the middle with faith hope love and the rest of the good things life has.... they kinda had it labeled so when someone shoots a peso inside they'll have their wishes come true. A wishing pond something like that. This kid tried to get some money off of it I think. Not sure. But I was captivated on how he eagerly waits for every peso to shoot inside the tubes. I like shooting kids I guess. This was the woman in the street outside the church. Unlike the modern churches here in the Philippines, the one they had there was like sideways. The main door was on the side and the altar was on the left. I don't know if I entered the wrong door but it seems that is what it is. This lady had no home, she was a little filthy. I took a shot because I felt bad that everyone was happy and here she was in the hot sun just sitting there. I think she had no one to take care of her. This was the guy on one of the houses in Lucban, he was singing for the enjoyment of everyone that passed by. I don't know why but I think they sang some kind of Ethnic Reggae thingy. I think everyone enjoyed what they were doing. I'll get back to my roots of shooting street again sometime soon. I don't think this is my forte but I'm sure getting lots of fun doing it. I had a pretty good time again and it I must say this year was very productive. 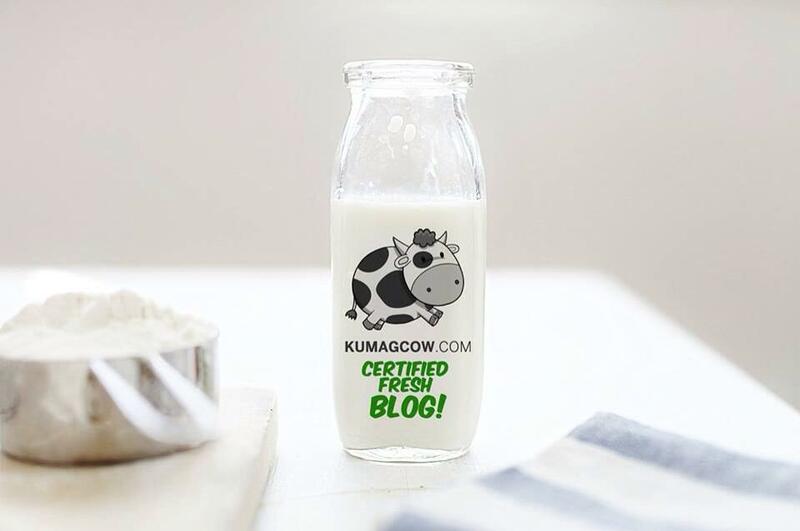 I got to publicize my site around the world by catching the SEO wave and got my own domain as well. I still am pushing for quality over quantity in doing posts and it has shown great content as my peers have noticed too. It's high time I get another site up but I'm still looking for the logistics in getting another domain published as well. This will be easy as long as Unlimited Web Hosting is available. I'm so glad there are institutions like NEXX who can provide this for me. I'm all for that! Imagine unlimited disk space, bandwidth and emails. You get your own customized domain plus round the clock technical support for those who need it. They get to even have you hooked up with GOOGLE and FACEBOOK ads that would make traffic increase in your the first few months. Once you get your audience share it will be easy to sell your product and services if needed. NEXX has definitely raised the bar in providing this for everyone even if you use open source applications on your site. Tasks are now easier to configure because they sometimes only need a mere click of a button and voila! I love it! You should all get one now! This lady was difficult to shoot since she had an umbrella that constantly covers and uncovers her face. The exposure in this shot was varied but I think I did a pretty good job capturing this. She is not that pretty in person but as you can see she looks a million in this moment. Now this lady wore something with suman and a mask. She had the right design and smile but I think it was really overshadowed by the fact that the other lady was a foreigner. I really like what she wore that afternoon though. I think this one was the runner up. The intricate design on the dress probably made it what it is in the rankings and she was a sight to behold because of her smile. She wasn't that pretty but she was really appealing to look at. And she never did excuse herself posing for me even if there were lots of photographers at that time. This was most colorful one. I used a flash so I could have the face only get one exposure. I just learned that trick there hehe. I like her smile. I mean who wouldn't right?! She is pretty and colorful at the same time and I guess she got one of the top prizes. I think this gal won over all. The PARIKITAN lived up to its name and showed the most beautiful ladies in town I love it! I'll go back next year and see this again soon! Oh no! It's Johnny Rockets! Busy... but I can do it! Elections on May 10 =) Who's your bet? !